As we continue to recognize our 5 year anniversary, this month we are featuring our 5 Favorite Breakfast Spots. Did yours make the list? As you wander down Broad Street towards the Broad Street Bakery & Cafe, the aroma of bacon greets you the closer you get and prepares you to enjoy the breakfast dishes you will find. The Broad Street Bakery & Cafe offers a breakfast menu that includes breakfast sandwiches, omelets, and many special items on and off the menu created by the owners who were trained at the Culinary Institute of America. Sit indoors or outside on their umbrella shaded patio, you are sure to enjoy your breakfast at this Southern Pines favorite. Southern Pines is home to many great restaurants sure to please the pickiest eater to the foodie. Betsy’s Crepes, rated one of the Top 5 restaurants in Southern Pines by Trip Advisor, is at the corner of Pennsylvania Avenue and Broad Street and offers a menu of sweet and savory crepes, traditional breakfast foods, sandwiches, healthy salads and soups. Betsy’s Crepes has recently expanded their restaurant and hours to accommodate their popularity; stop by and see why this is a favorite spot amongst locals. Another Southern Pines favorite Sizzlin' Steak or Eggs is like eating at home and never having to do the dishes! You won't find a fancy breakfast here, just home cooked breakfast done well. Better than that, the staff treats you like family! 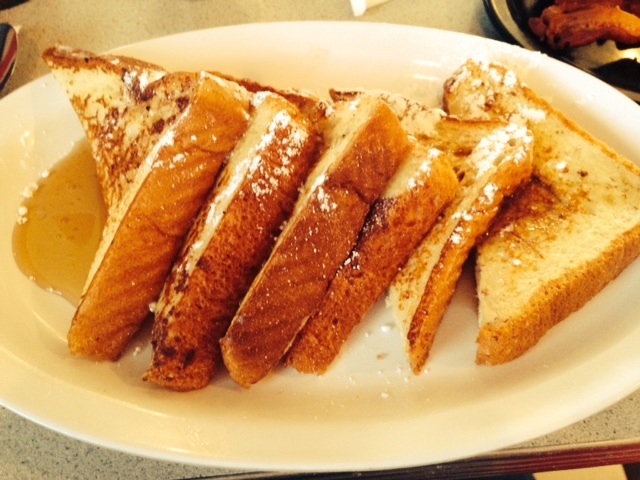 If you are looking for a great omelet, french toast, pancakes, home fries, etc... at affordable prices Sizzlin' Steak or Eggs is the place to go! At the historic Carolina Hotel in the Village of Pinehurst, is one of the most decadent and elegant buffets you will find in the Sandhills. Dining at the Carolina Room is an experience to savor with its crystal chandeliers, crisp linens and a pianist playing in the background. The Carolina Room's buffet includes a wide variety of sweet and savory breakfast foods and scratch made omelets at the omelet bar. Sit back, relax, and enjoy the Southern hospitality. Do not let the always full parking lot at Pete's Family Restaurant intimidate you from stopping in at this hidden gem in the Town of Carthage; it is a sign the food is that good! 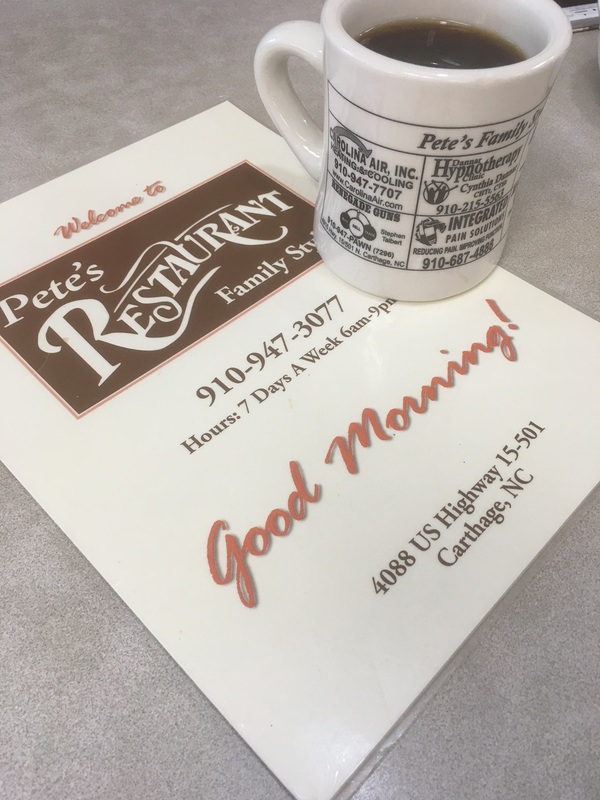 Pete's Family Restaurant offers your standard home-style breakfast foods but it must be how they cook it and the great waitstaff that make it one of our favorite places to stop. Their scratch made biscuits will make your grandma jealous and asking for their recipe, and their cooked to order omelets and bacon keep us coming back for more!